BuzzFeed Reporter Kidnapped in Ukraine: 'I Was Pretty Freaked Out' - trendistic.com: ever tried. ever failed. no matter. try again. fail again. fail better. BuzzFeed‘s mideast correspondent, who is reporting from embattled cities across eastern Ukraine, is talking to Mashable on Friday afternoon from his hotel in Donetsk — not in Sloviansk where he intended to be. 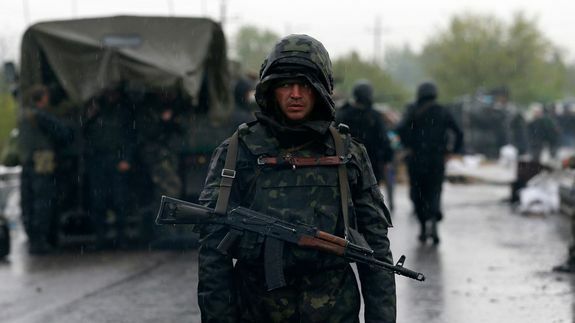 The Ukrainian military was set to begin an assault on a pro-Russian stronghold in Sloviansk, but panicking militants stationed at a checkpoint outside of town had other plans.